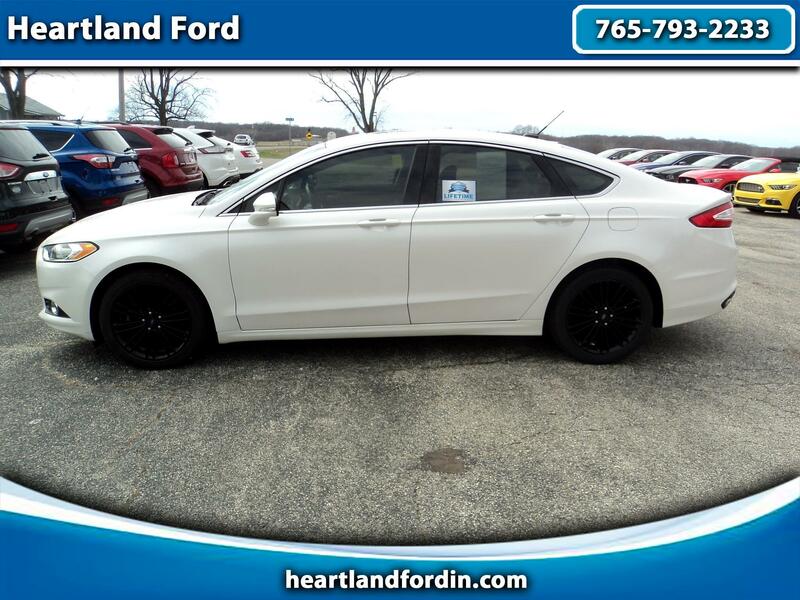 GORGEOUS ONE OWNER AWD FUSION WITH A CLEAN CARFAX, THIS LOADED CREAM PUFF IS JUST THE CAR YOU'VE BEEN LOOKING FOR! LOADED WITH HEATED LEATHER, POWER MOONROOF, SE LUXURY PACKAGE, MY FORD TOUCH WITH NAVIGATION, REAR CAMERA, 18' EBONY BLACK WHEELS, 2.O L ECOBOOST ENGINE, WHITE PLATINUM METALLIC TRI-COAT PAINT, DUAL ZONE AC, ETC. AWD FUSION THAT'S LOADED AND BEAUTIFUL! ALSO INCLUDES OUR EXCLUSIVE HEARTLAND FORD LIFETIME LIMITED POWERTRAIN WARRANTY FOR YOUR PEACE OF MIND. COME SEE US TODAY! Message: Thought you might be interested in this 2016 Ford FUSION SE.